Hi everyone, happy Thursday. The long weekend is in sight and we cannot wait! 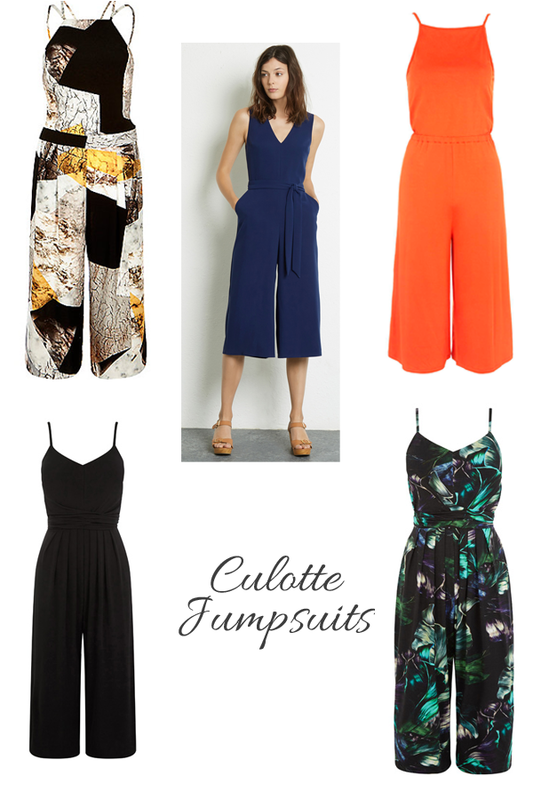 I’m very excited about today’s post – having blogged about my love of jumpsuits and culottes before, I’m thrilled to see a fusion of both available all over the high street at the moment! These jumpsuits are so easy to wear – dressed up or dressed down they are ideal for any occasion be it work, weekend or a special event. Funk them up with a leather jacket or team with a sleek blazer for a smarter look. They are a great alternative to a dress with a slightly cooler edge. You can achieve the look with cute co-ordinates also and I love how Stephanie Sterjovksi has styled the Chicwish two piece above. I adore this similar style from ASOS but it’s no longer available in my size! I’ll be keeping an eye out in the hope that they get more in. Hope you enjoyed our round up and got some inspiration!